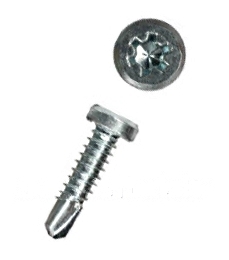 PRODUCT: #12-18 X 3/4 Inch self drilling Steel Framing Screws, Pan Head, PAM Drive (bit included), Zinc Plated, Strip Collated. 1000/Box. Price/Box.